Ancient Coin Collecting, Vol. I, 2nd Ed. Hardback, 312pp., dj, fully illustrated. 2003, Krause Publications, New, signed by the author. 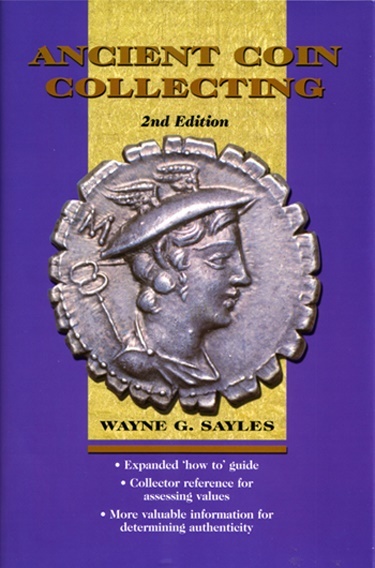 The first of the six-volume Ancient Coin Collecting series, this second edition features expanded sections on how to collect ancient coins, determine authenticity and identify fakes. Also discusses how to determine coin values and provides an expanded pronunciation guide and expanded bibliography. While written for the new collector, many seasoned collectors have found it useful and informative.